Today I want to share about anger. There is so much about anger to talk about that volumes of books have been written, so this writing will just scratch the surface of anger. Medical and psychological research has shown that no matter how much you exercise or eat correctly, you are putting yourself at risk if you do not manage your anger. 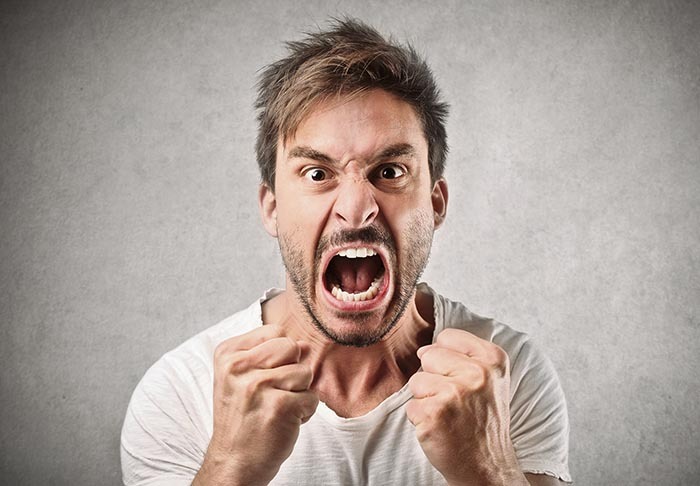 Suppressed or unsuppressed anger causes a wide spread effect on the body. It can cause pancreatic problems, diabetes, cancer, weekend immune system and muscle and joint problems as well as a host of other medical conditions. Not to say it can affect the skin causing rashes, hives, warts, eczema, and acne. Researchers have studied anger and skin disorders and discovered that when the person resolved their deep buried anger, skin disorders dramatically improved. Suppressed anger can also have psychological effects causing depression, eating disorders, addictions such as drug and alcohol, nightmares, insomnia, self destructive behaviors and can even cause disruptions in the way a person relates to others. Anger is important and is a normal, natural emotion that is neither good nor bad. In fact, its value is determined by how you choose to respond to it. It is up to you to decide whether anger will be a negative or positive emotion in your life. When you channel the energy generated by your anger into constructive accomplishments, anger can motivate many worthwhile activities. Channeled into destructive actions, anger can drain your energy. Anger is a frequent response to feeling powerless, frustrated, and abandoned, therefor often people act out by pushing people away, feeling hurt. Here’s the thing though, It’s important to understand that anger is something created by yourself. It didn’t come swooping out of the blue see we think that anger is caused by something outside ourselves, such as other people or frustrating events. One of my spiritual teachers and a professor once told me that No one makes you angry. You make yourself angry. I was actually angry when I first heard this, but I saw the truth in it. No one can make me angry I simply choose it. So since I have chosen this anger, how can I control it. * Meditation! You hear it all the time, take a deep breath and count to ten. Meditation can allow you to take some time breathe, relax, and to reflect on the situation and take a critical look at what you’re angry at. *Practice forgiveness. Anger often times results in resentments. Resentments can be resolved through forgiveness. You do not necessarily have to forgive the person you are angry at face to face; you can forgive in any way that works for you. *Talking. Sometimes just talking it through with a friend and venting out frustrations before it becomes anger. If you find you are angered a lot, talk to a counselor, or life coach or a holistic mental health care provider or a psychospiritualist, whatever you want to call that person, talk! *Be creative in releasing your anger. Screaming in a pillow, dancing, aerobics, pillow pounding, stretching exercises, tearing up old news papers, throwing rocks in a safe place, squeezing a ball of clay, kicking a ball or pillow, using a punching bag, or some sort of sport activity such as basket ball, racket ball, soccer or throwing a baseball. just be creative and physical. 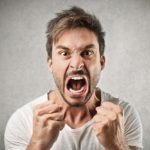 No matter how you choose to deal with your anger, it is important to learn safe effective ways to release your anger. The result of prolonged anger can actually change how our body functions. Anger is an important emotion and should not be held in; however, there are many appropriate and healthy ways to release it. The important thing to remember is anger needs to be released.